A friend recently asked me to help clarify the tanden, also known as lower Dantien. This is a big subject. I have written about it before here. I will try to briefly convey a sense of what it is like to feel the tanden, develop the tanden in sitting and everyday life, and what it is like when the tanden matures. The tanden is an energy field in the abdomen. 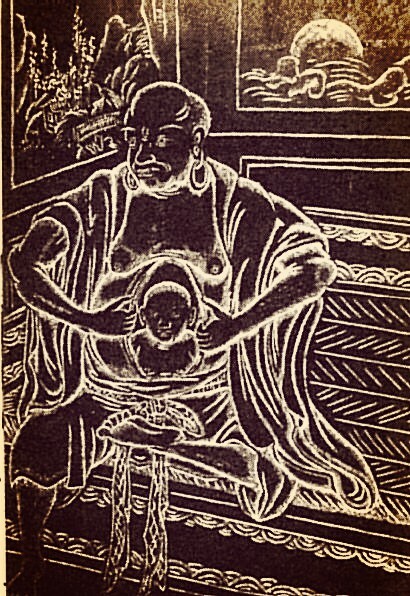 It is a major focus in traditional Rinzai Zen as a way to deeply embody the energy and wisdom of Buddhism, and to fully integrate that wisdom into life. But one need not be a Zen student to gain great benefit from getting a sense of it. In the tradition I was taught, in zazen, seated meditation, we are first instructed to do sussokan. Sussokan is concentration on the breath, often counting the exhalations, breathing in and out of the belly, which fills the belly with energy. Sussokan includes extending the exhalation out completely, and letting go of the preconceived ideas and stored up memories in this process. Over time, sussokan is a technique to help develop the tanden, as well as an excellent practice to enter samadhi. So, most of us hear the instruction to extend our breath out completely and we go sit and we push with our breath out as far as we can, and we force it. The practice is actually about becoming the sitting more and more, becoming the activity. It is about Focus. But we mistakenly think it is about force. So we sit there and try to develop tanden ki with our force, instead of the energy naturally growing and settling into our belly. The forcing of pressure on the belly makes the energy rise up and create more tension in our system. This is completely normal and it happens to basically everyone at first. However, as we sit with sussokan longer, it becomes clear that this type of force does not work. We can't create harmony with our body/mind by putting in a type of anxious force. And we look around and see the experienced people who are really beautiful sitters. Their zazen is soaring and reminiscent of an eagle in flight. And they are incredibly relaxed. Sublimely relaxed. And we wonder how that is possible. We realize it must not be force. Feeling the tanden is elusive at first. In the beginning, one just tries to imagine something down there, a couple of centimeters below the navel, and extending three dimensionally through to the low back. Sometimes, at least at first, it is easier to feel the tanden in the low back (koshi in Japanese) than in the front on the belly. It begins often as a little flutter, or a little heat in the general area below the navel. Later it feels like a taut ball of energy. Over time, with much exploration on the cushion, in daily life, we begin to orient our lives more and more to moving from the lower back and belly. When reaching for a cup, we stay rooted, relaxed in our lower body, our upper body is floating above. We reach out and it is as if our hand is reaching out from the belly. From the tanden. Settling into gravity, our ki slowly becomes less fixed in our upper body or head, and more and more settled in our lower body and belly. Our thoughts, too, begin to settle as the ki settles into this ball of energy in our tanden. Sitting, we see that as we unify with our breathing, and the present moment, our breath naturally begins to extend on its own. And we see that if we are not fully in our bodies, not really there, our ki will rise up. But, with time, through sussokan, as our ki settles and grows, it begins to permeate our whole body. A kind of glowing ball begins to grow in our belly, and the energy begins to fill our entire body. Doing long retreats, we will be going along concentrating on our tanden, and by day five, it sometimes feels like the tanden has disappeared. But in fact, it has grown and expanded as the ki has grown. Such is the dance and play of getting to know the tanden. When the ki begins to grow, it can be a tricky time. We have to continually be aware of the tanden for a while, as this energy makes us full and taught. If we take our awareness off of it at this time, other centers of energy, like the volatile emotional heart energy, will become unstable. The tanden acts to settle the ki. To bring stability. For me, during this time, as I was working with settling this ki in my body, for about two full years, I was very emotional, very volatile. It was like I was walking around in the middle of open heart surgery. Very raw. In this tricky time, it is not about focusing on the tanden in spite of all other sensations going on in the body. This is a common misconception. Rather, to keep ones awareness on the tanden while allowing all sensations into our awareness, opening up all of our senses. So it is not about pinning our awareness into a spot in our abdomen, or closing down and becoming small. Rather, with an open awareness, to keep sensing everything and allowing it to open. For instance, we all have huge heart energy. In order for our body and tanden to really open up, we have to allow our heart energy to fully express. If we don't, the energy in our bodies will be dull and without passion, without life. Over time, stable awareness in our tanden becomes second nature. Walking around, we notice our breath is always extending, always doing sussokan. Our ki is always rooted in our tanden. And as other emotions come up, often intense, they are not so fiery, not so wild, as the tanden is there all the time settling the system. "Zen is to transcend life and death (all dualism), to truly realize that the entire universe is the "True Human Body", through the discipline of 'mind and body in oneness'. 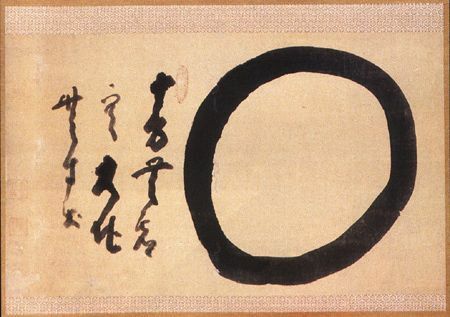 Miyamoto Niten (Musashi) called it iwo no mi (body of a huge boulder-going through life rolling and turning like a huge boulder), Yagyu Sekishusai named it Marobashi no michi* (a bridge round like a ball- being in accord with the myriad changes of life). Besides this actual realization, there is nothing else." So, the tanden is a technique, an orientation to unify body-mind, to deeply embody this work. As the tanden matures, often after some kind of breakthrough, it is no longer just something to focus on in such a concentrated way. It is as if our awareness integrates the tanden, and all actions spring from that center. Our awareness extends, and we feel the context of each situation as a way to harmonize with everything. Just like that huge rolling ball. This is what it is actually like to be centered. Again, we feel the tanden as a continual contextual framing of our awareness. The awareness is not a static thing, it is continually shifting. Over time, we can begin to read others intentions through this awareness, read situations very quickly, not be easily thrown around by every situation. We see the flowers and our awareness reaches them as our tanden and we meld with them. As we are walking, that great rolling energetic boulder is constantly framing our awareness in a fresh way. So slowly, little by little, keeping our awareness just below the navel, and on the lower back, we will begin to transform from the inside out. Where there was once a little flutter of light, a little heat in our belly, gradually it becomes a great unifying way of being. This is a never ending process. Thanks for reading. Comments and questions welcome. Please share this if it was helpful.